Nail wraps are the next big thing for finger and toe nails. This latest trend shows that you can never be too old for bold nails, vibrant in colour and above all else – long lasting and fashionable. Nail wraps replace varnish for those who want a low maintenance option of fashionable fingers and toes. Minimal equipment required. Join the group of nail technicians and beauty therapists who are the top of their game in providing these great nail wraps. Since we are not affiliated with a particular brand, once qualified you are able to use whichever brand of nails wraps you prefer as long as they are for professional use. Full practical demonstration and guidance throughout the day in small groups, since we are not affiliated to any one particular nail wrap company the tutor will use the nail wrap of their choice. Must have a manicure or pedicure diploma. There will be continuous formative assessments takes place during the day while you practise and take information from your tutor. On completion of the training day you will be expected to answer verbal questions and perform a full application of wraps. Once you complete this training you will be entitled to gain insurance. 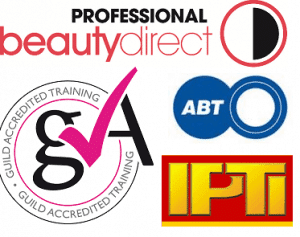 All courses at Inspire Therapy Training are accredited and recognised by industry professionals. See our accreditation page for details. See image below for accreditng bodies we have chosen for this diploma.